Last year was the first running of a new race in London. The Big Half is half of the London Marathon, run backwards and takes in the iconic Tower Bridge twice (ish). I was already training, and this looked amazing so I applied through Retina UK. The build-up was amazing. After a few days of snow, where other races were cancelled due to the weather we were much luckier. We all met on Tower Bridge. Everyone queuing together and the atmosphere began to build. I met several lovely runners and we chatted away until the big off came. Due to the staggered starts, not everyone sets off together, but we all moved to the start line slowly. Then finally we were off. I am so proud to say that I have run with Mo Farrah. I even saw him, running back around the loop we were about to do. He was so fast and as I watched the fluorescent armsleeves disappear I knuckled down to my race. Running back over Tower Bridge, one of the most iconic monuments in London, was fantastic. It did slow a little here as I wasn’t the only one trying to get a selfie here. Then there was less than half the distance to do. A half marathon goes in sections. For the most part you are concentrating on getting round and keeping going. However, you find a few difficult stretches and this is where the crowd comes in. For the most part the crowd for this race was vibrant, with people and bands to distract you. There were lots of children to high five with, and people cheering your name, which really helps. I can’t recommend this race enough, the organisation and support, both before and after the race, is amazing. Join in, test yourself, and raise vital funds for Retina UK. 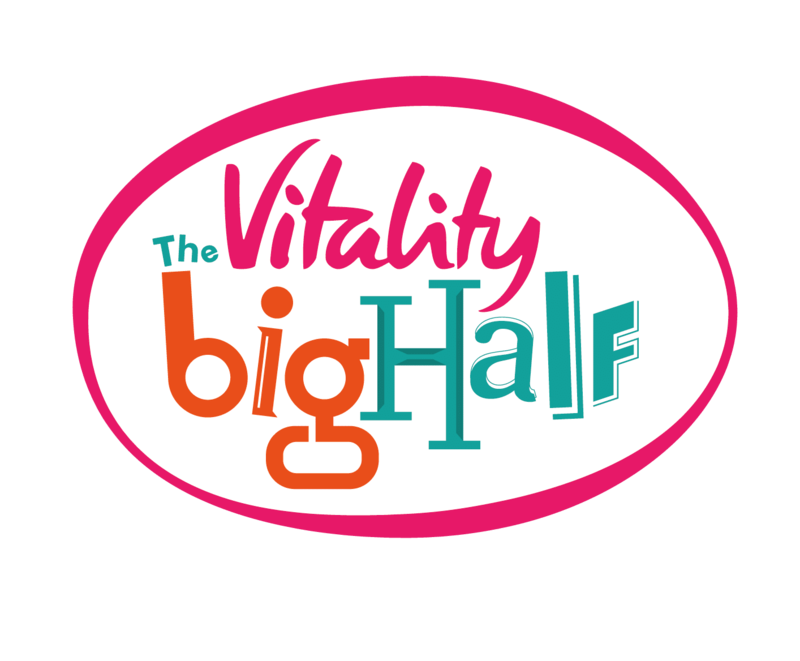 Sign up for the 2019 Vitality Big Half!